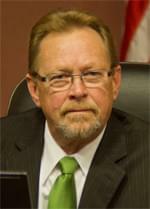 Sparks Mayor Ron Smith was diagnosed with pancreatic cancer last month. He released a statement that says in part: It was caught early, and I am very positive, as are my doctors, that I will respond well to treatment. I ask for your thoughts, prayers and encouragement, as well as privacy, as I go through this journey. He says he may miss some meetings and events, but the city’s Vice Mayor will fill in when needed.